I met Wendy & Brad at Texas' Woodlands Waterway Arts Festival in the Spring of 2016. 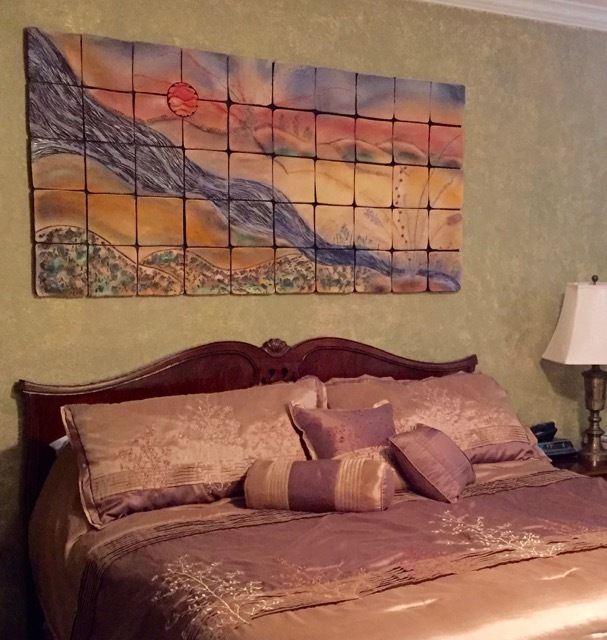 They saw this 35" x 74" tile wall art and knew it would be perfect for their bedroom. Here it is - on the wall. Thank you both!